Shopping for Sports: Basketball Action Figures? McFarlane's Sports Picks continues producing action figures of the hottest hoopsters in professional basketball! 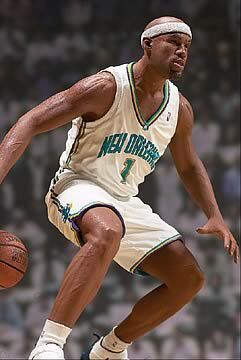 Originally part of NBA Figures Series 3, you can now get Baron Davis, New Orleans Hornets #1 point guard, individually! Includes "Spalding" basketball and display stand.